China started to operate a radio telescope Five-hundred-meter Aperture Spherical Radio Telescope (FAST) on Sunday, September 25, 2016. The telescope is now the largest in the world, ahead of the Arecibo Observatory in Puerto Rico that operates with the funding of the US-National Science Foundation (NSF). Being in between two cliffs in the mountains of Guizhou, the FAST telescope built with funding of about Rp.2,5 trillion. The telescope was two times more sensitive than the Arecibo Observatory and has a reflector size of 30 times the football field. Qian Lei, a researcher at the National Astronomical Observation, China, said that the telescope was built to observe the pulsar, very fast spinning mini neutron star, the remnants of a supernova event. The telescope was able to detect the pulsar at a distance of 12 trillion kilometers from the Earth. Meanwhile, Wu Zianping, director general of the Chinese Astronomical Society, said that the telescope that could search for the aliens, if any. "High sensitivity telescope will help us search for intelligent life outside the galaxy," he said. Joseph Taylor, an astronomer from Princeton University, as quoted by Xinhua on Sunday said, "The telescope will certainly arouse enthusiasm, motivating people to pursue science, make China an important part of the world." Sun Caihong which help the telescope operation said that FAST will be the best in the world up to 10 to 20 years into the future. 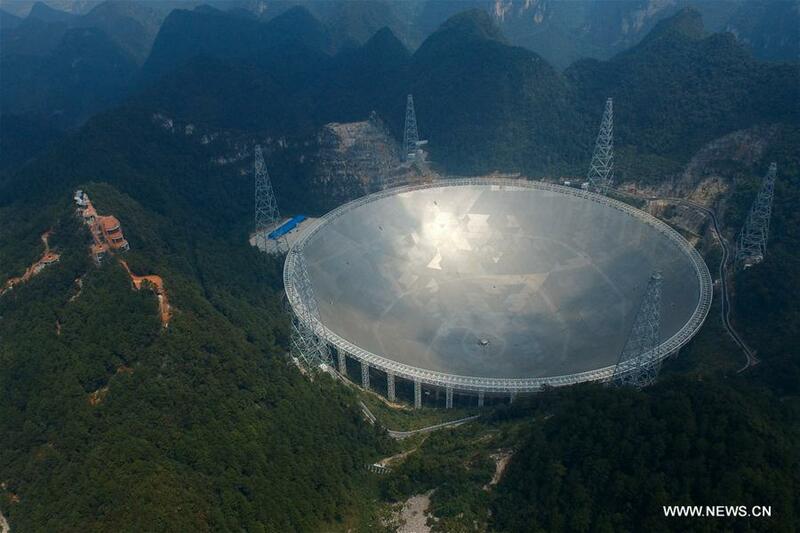 While leader of the NAO, Yan Jun also revealed that China will build another world-class telescopes in the last 10 years.